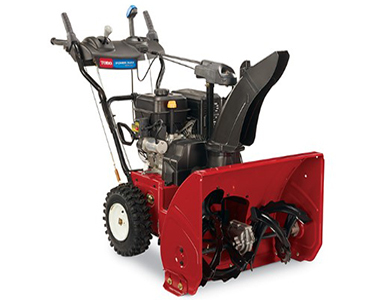 This Toro Pro Max 826 OE Snow Blower is built with a Toro Premium Engine that offers 252cc for maximum power. Electric start allows for a hassle free easy start in cold conditions. Regulate snow intake with the Power Max Anti-clogging system that eliminates clogging to get your job done faster. Sub zero material prevents rusting in the impeller cover, deflector, and discharge chute for a long lasting life. 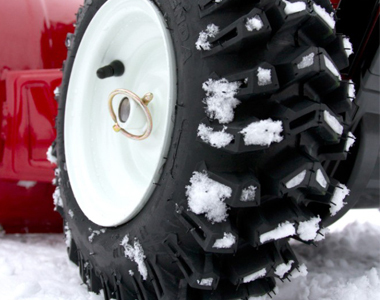 And deep lug tires allow for better traction is slippery conditions. Ideal For: Concrete and Asphalt driveways, 4-10 car garages, and 6" to 12" inches deep. Max Throwing Distance (ft) 40 ft. 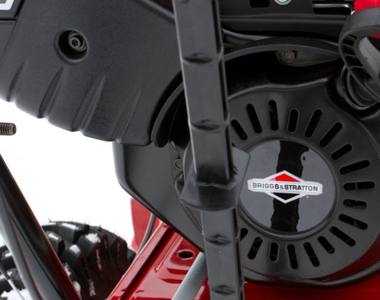 Ask us about the Toro Power Max 826 OE 26 inch 252cc Two Stage Snow Blower. Please no repair questions. Your Q&A may be posted to SnowblowersAtJacks.com to help other shoppers, like you, with their purchasing decisions. Thank you. Tina, yes the Toro 37780 Power Max 826 comes mostly assembled. There are additional setup tasks that will need to be done, including adding oil, and installing the handles and chute controls. These tasks are outlined in the owner's manual.